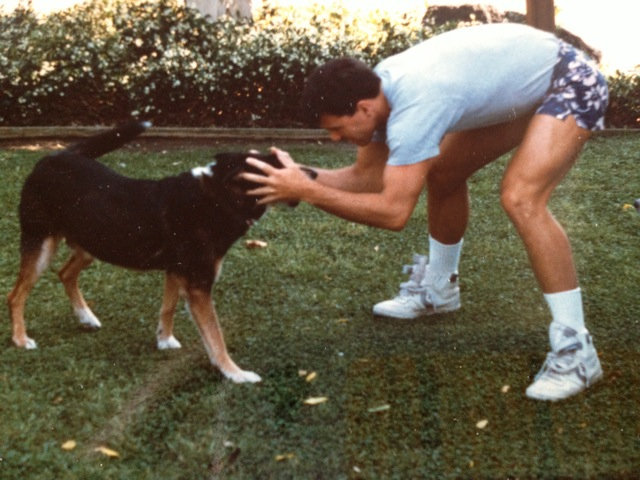 The big-love between my brother, Steve, and his first rescue dog, Primo, inspired me to write Pet-Friendly Francie. While the story stars a little girl and is mostly make-believe, some of the wild ‘n crazy antics in this “dog-tale” are true. Such as…. -Primo DID follow Steve to school everyday. -The teachers truly adored Primo and let him hang out in class. -The principal DID BAN Primo from school. Later Steve threw a bucket of water on the principal, which landed him in big trouble! Luckily, the principal forgave him, and we forgave the principal. -Primo DID jump our six-foot fence, clawed a hole in our screen, and pulled a towel off the counter to cover a boo-boo. -My parents did rescue another furry friend for Primo. -My little brother doesn’t eat anything with eyes. 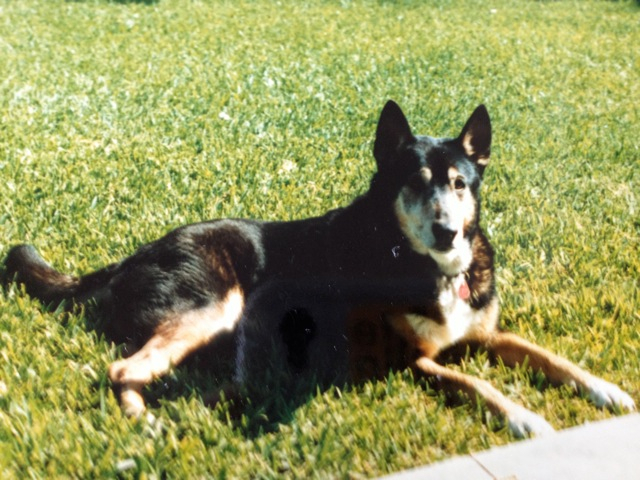 And Steve, a big Best Friends Animal Society supporter, grew up to be a true leader of many packs. 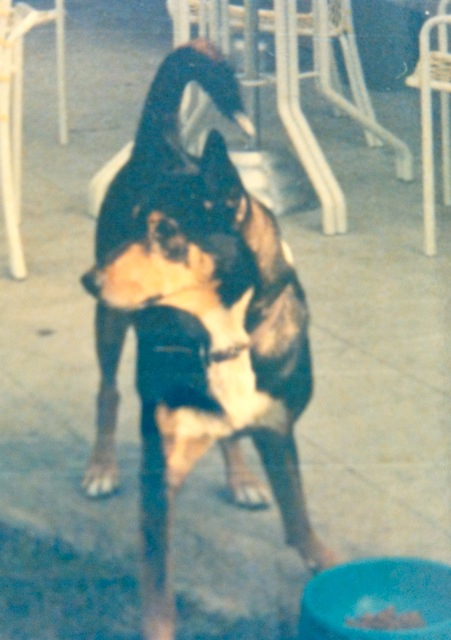 Primo and his numero uno packmate – my big brother. Primo getting ready to play ball. 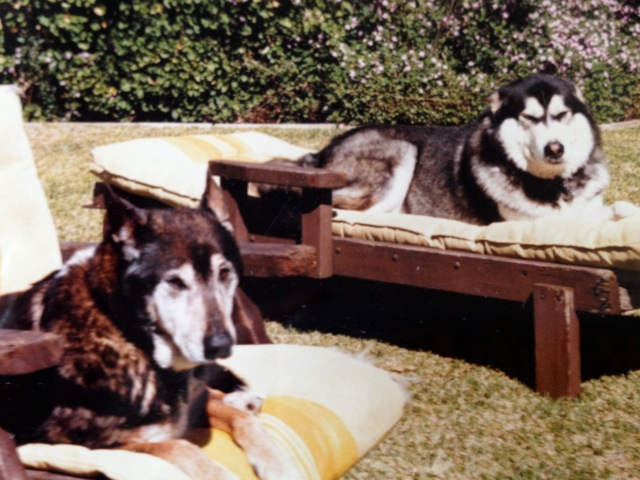 Primo, who lived to be almost 20, lounging with his buddy Buck.